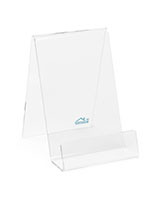 This Acrylic Stand Displays the Merchandise on Clear Acrylic Material! This Display Riser Is a Store Fixture for Business Countertops and Tabletops! This Acrylic Stand Is One of Many Cases! Holds computer programs, games and much more. Economical acrylic material is durable. 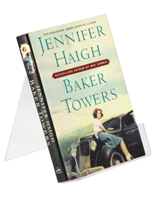 This acrylic stand presents all sorts of information in a straight position to make it convenient for people to view. 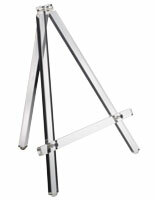 The Lucite easel has an entirely transparent Plexiglas exterior for longevity. 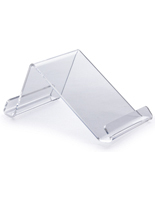 This acrylic stand, also called a display riser, will fit in with countertop and tabletop displays. 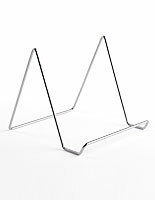 The Lucite easel is a very economical option for users that are trying to encourage last moment purchases. 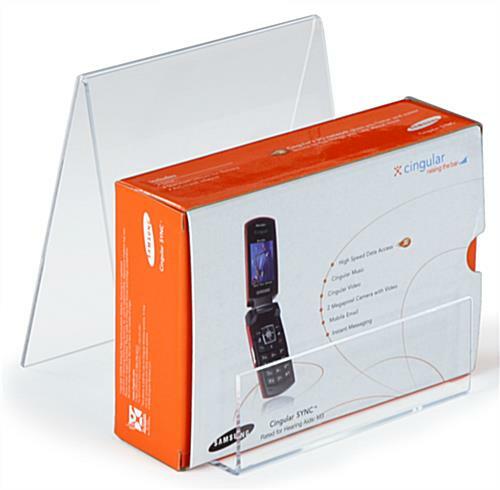 This acrylic stand, sometimes referred to as a store fixture, gives users a space for advertising thicker items such as computer software and cell phone boxes. 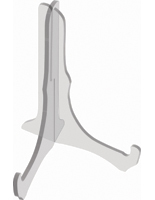 The display riser includes the 3" lip to make sure the unit does not slide off. 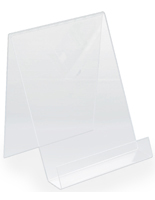 This acrylic stand is commonly found within retail shops and other establishments. The store fixture looks great on countertops and tabletops. This acrylic stand is only 7" deep to fit on most cash wraps. The display riser is very helpful to all sorts of customers. 6.1" x 7.0" x 7.0"